While Saudi women make up only 13 percent of the nation’s workforce, their participation is growing as more women look to pursue employment opportunities and make an income. Twenty-nine-year-old Nourh Abdullah Al Yahyah, a university-educated mother of two, decided that she, too, wanted a job but lacking skills and experience, her search initially proved fruitless. That is until she was offered the chance to receive employability training and job placement support through Glowork, the first organization in Saudi Arabia dedicated to female recruitment. In 2014, Glowork partnered with IYF, with generous support from JP Morgan Chase Foundation, to provide one hundred women in greater Riyadh with the opportunity to build their skills and secure jobs in the retail or medical service sectors. 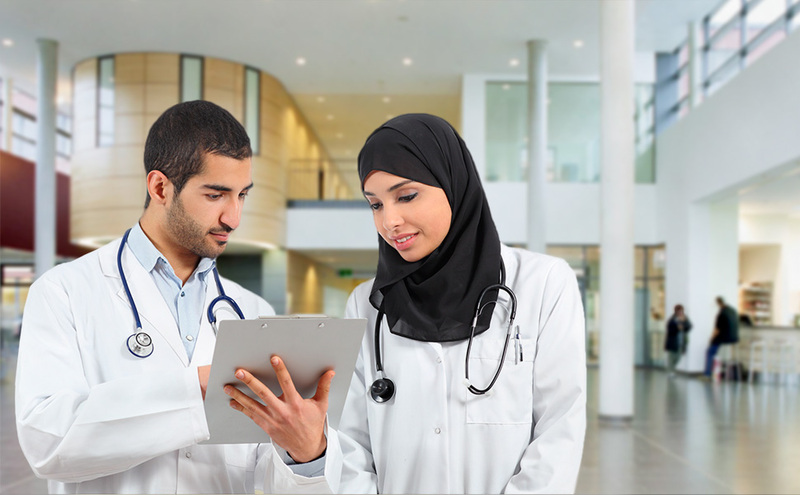 As a first step, Nourh met with Glowork staff and human resource professionals at Dallah Hospital, one of the largest in Riyadh, to gauge her interest in pursuing a career at the hospital. With her commitment confirmed, Nourh then received training in IYF’s Passport to Success® life skills curriculum, with its focus on developing workplace competencies such as teamwork, effective communication, critical thinking, and time management. Reflecting on her experience, Nourh says the first thing she gained was hope. “I became more social and more friendly with others,” she adds. “I started to use the time management skills I learned on a daily basis.” Nourh also realized the importance of patience and pursuing one’s career goals one step at a time. After successfully completing her training, Nourh was hired as a ward clerk at the hospital, a position she’s held for five months. An added benefit was the availability of a nursery for hospital staff where her children could be cared for while Nourh performed her duties. It can be challenging for Saudi women to pursue careers, says Nourh, citing issues related to transportation and mixed gender work environments. While at first her husband was reluctant to let Nourh work within a mixed workplace, after discussing the issue and her new environment, he now supports his wife’s decision and her new career path. Based on the initiative’s positive impact on aspiring job seekers such as Nourh, talks are underway to expand its reach to more Saudi young women.